On the 8th of October, 2017, Mr Fahad Gohar along with other members from Messiah Foundation Australia participated in the Whole Life Expo 2017 held in Adelaide, the capital city of Australia. Our team displayed large banners depicting the divine signs of Lord Jesus Christ and HDE Lord Ra Gohar Shahi on the Moon, Sun and Holy Black Stone which grabbed the attention of many expo-goers. Our team also handed out ’The True Mehdi’ and ‘Messiah Herald’ the official publications by Messiah Foundation International. Recipients thoroughly investigated our literature and were immenselt impressed. 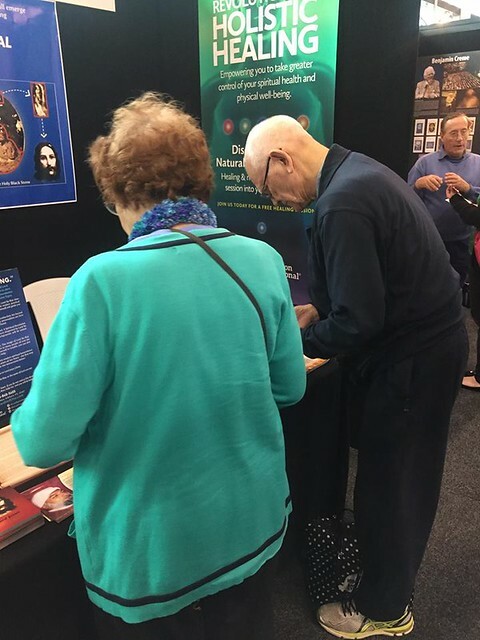 A number of people were interested to hear the message of love prospering in Australia and thanked our team for attending the Expo and raising awareness of Spirituality and Divine Love.